Why Netanyahu's Re-Election Posses A Danger To The Peace Process? Why Netanyahu’s Re-Election Posses A Danger To The Peace Process? The result of the Israeli election has demonstrated that the Israeli public’s movement to the right is now consolidated, and that its prospective reversal to the center and left-of-center is becoming increasingly unlikely. This outcome should give serious pause to every Jew and friend of Israel, as the consequences for Israel’s future will be extremely dire. It will allow the newly-expected right-wing government led by Netanyahu to take any measure of his choosing to prevent the establishment of a Palestinian state. This will further undermine Israel’s democratic and Jewish foundation, and put the country on the fast track to self-destruction, obliterating the face of Israel as we know it. To begin with, there has been a steady and continuing nearly unequivocal support of the United States for successive governments throughout Israel’s existence. The US’ enablement of Israel, specifically over the last few decades, has allowed centrist and right-wing governments to undertake policies, in particular the building of new and the expansion of existing settlements, that run contrary to any prospective Israeli-Palestinian peace based on a two-state solution. In this regard, Trump’s open-ended support of the Netanyahu government has severely and perilously undermined Israel’s future security and well-being, which ironically the Trump administration wants to shield. Second, as the Palestinian extremists continue unfortunately to play into the hands of the Israeli right-of-center, it has made it easier for the leaders of the right to make a strong case against the Palestinians, and justify the enforcement of discriminatory policies and the occupation. The building of settlements and the imposition of a massive security apparatus that extends throughout the West Bank and Gaza further diminish the rise of an independent Palestinian state with a contiguous land mass. Third, the Israelis have developed a siege mentality from their historical perspective, as well as from their experience with the Palestinians (especially following the Second Intifada in 2000). 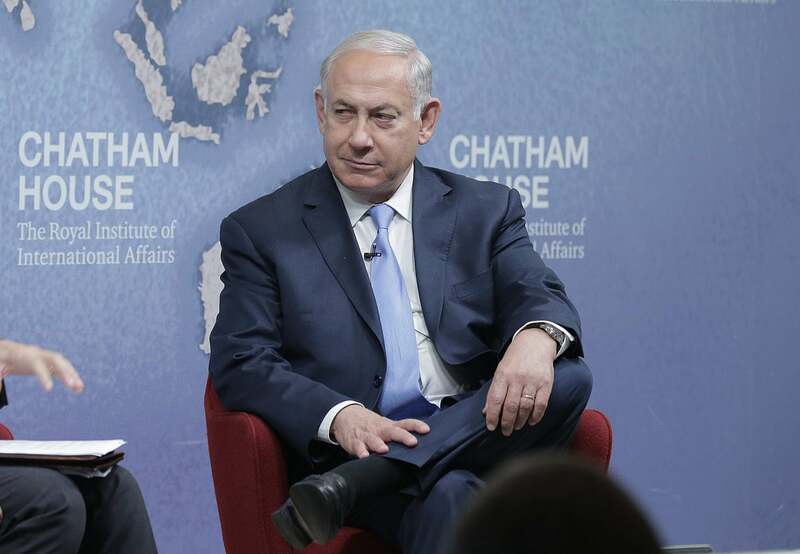 As a result, Israel has become increasingly self-reliant on national security matters and suspicious of the Palestinians and the international community on the whole. As such, Israel’s use of excessive military power to quell Palestinian resistance became routine, and applying harsh measures against the Palestinians in the occupied territories to keep them at bay became the norm. The fourth reason is national security concerns. Israel undoubtedly is the superpower in the region, and there’s not a single country (including Iran) or combination of countries that can in fact, now or in the foreseeable future, overwhelm Israel militarily. Nevertheless, Israelis feel vulnerable and insecure, making national security a central theme in any future relations with the Palestinians, which of necessity constrained the extent of concessions the Israelis could make under any peace consideration. Fifth is the growing, if not decisive, political strength of the settlers, who are now in a strategic position. The settlers, represented by various right-wing parties including Likud, have secure representation, both in the Knesset and the government. No Israeli government would dare to evacuate any significant number of settlers without provoking a major political crisis and even violent resistance that will tear the country apart. Sixth, there is a nearly constant schism between secular Jews and the Orthodox community, which has further diluted the prospect of unity among the Israelis themselves. Moreover, since no single party has been able to acquire an absolute majority, elections always lead to a coalition government, which of necessity has to compromise on significant issues, perhaps other than security. As a result, the discord between the coalition partners to agree on a long-term solution to the conflict with the Palestinians was put on the back burner, which further complicated and made the conflict ever more intractable. The consequences of this election and the certainty of forming a right-wing government led by Netanyahu are hard to exaggerate. To start with, if there had been any small prospect of a two-state solution, it has now practically vanished completely under his watch. This in and of itself will further galvanize Palestinian extremism, which undoubtedly would lead to more frequent violence that could fuel long-term bloodshed between the two sides. Netanyahu and his partners will now have a freer hand to act as he has already been, to diminish the role of the judiciary; violate international conventions, specifically in regards to the occupied territories; implement far harsher methods to solidify the occupation; and certainly open the door for further annexation of significant parts of the West Bank, as Netanyahu promised to do if he were re-elected. There is no doubt that the coalition, regardless of political differences, will stick together to create new, irreversible facts on the ground that will bury the prospect of a two-state solution. Additionally, the recognition of Jerusalem as Israel’s capital and Israeli sovereignty over the Golan Heights by Trump has rendered a major blow to the prospect of a comprehensive Arab-Israeli peace. Sadly, whereas most of the Arab countries were edging ever closer to Israel in recent years because of their common enemy Iran, the result of these elections will certainly deter further improvement of relations between Israel and Arab states, and Israel’s regional isolation will only escalate. Moreover, Israel’s very democracy, which has for past few years been teetering on the edge, is now poised to fall. Last summer’s Basic Law formally declared Israel to be the nation-state of the Jewish people, which is outright discrimination against Israeli Arabs and other non-Jewish minorities. BDS and other punitive measures against Israel will become a common cause supported by an increasing number of countries around the world. Furthermore, the discord between American Jews in particular and Israel will be far more intense, which will have major repercussions on Jewish unity as the ideological gap between the two sides will only deepen. Diaspora Jewry near-unanimously supports a two-state solution, which they view as the ultimate outcome that provides Israel with security and preserves its Jewish majority and democratic nature. To be sure, Israel will become a de facto apartheid state as it continues to apply different laws to Israelis living within Israel and in the settlements, and a different set of occupation laws that govern the Palestinians, which limits their political freedom and narrows their basic civil rights. Unlike any previous right-wing Israeli government, the formation of a new government under Netanyahu may well be the most decisive and consequential for Israel as we know it. This is nothing short of a turning point in Israel’s history, as its reactionary, zealous, messianic, and extreme right-wing leaders choose more territory over the future security and prosperity of Israel, forfeiting its democracy and shattering the centuries-old dream of the Jews to establish an independent, free, secure home and live in peace. It is a choice that has put Israel on the fast track toward the abyss.